Hey guys! So, I need some advice. The last few days Avacyn has been grinding her teeth. She did have some plaque build up, but I brushed a lot of that away. I haven't noticed anything in between her teeth either. After brushing I did notice what could be a crack. 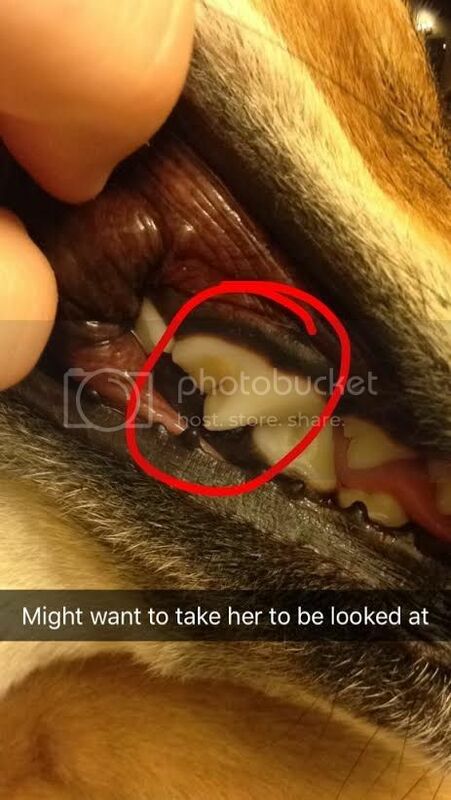 My husband says that it's part of her molars. It totally could be and I'm just an over-reactive pet parent, but I figure better to be safe than sorry. Thought I'd get your opinions before taking her to the vet if I can't figure out what it is. I've added pictures. Ok good! As you can tell I'm pretty over reactive and paranoid haha. 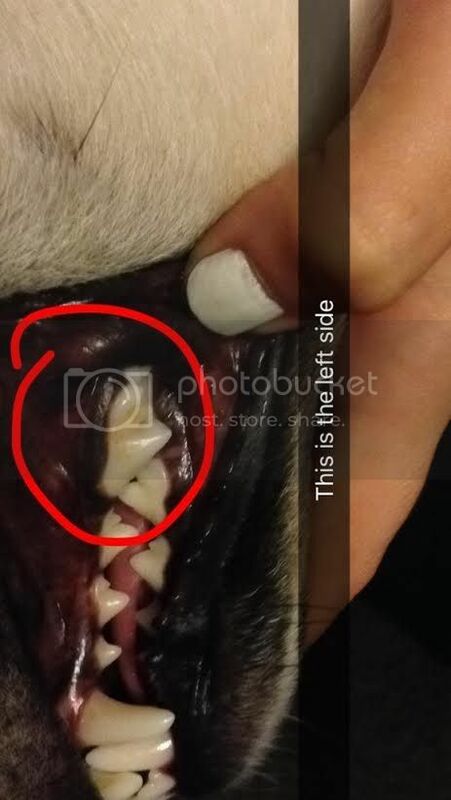 Any idea as to why she could be grinding her teeth though? Or ideas how to get her to stop grinding? The sound is like nails on a chalkboard and i don't want her to damage her teeth.